One of my favorite photographers, Kadie Pangburn, who photographed the Wonka Bar Mitzvah also brought along another amazing talented photographer from Tucson, Leah Simmers. Leah took some great shots that I had to share with you! Here’s a sneak peak at some amazing pics from the Wonka themed bar mitzvah we had last Saturday at the Westin La Paloma in Tucson, AZ. The event was a blast, full of lots of candy, imaginative decor, dancing and kid friendly activities. A huge thanks goes out to my vendors for making this event so wonderful. And most importantly, I’d like to thank the Toiber family for letting me plan this special day for them! 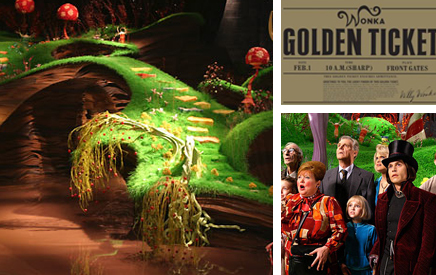 Vendors that worked on the Willy Wonka Bar Mitzvah…. Feel free to contact me with questions or comments about any of these vendors, I’d be happy to put you in contact with them! I am so excited to be working with a really fun couple and their son to plan a Bar Mitzvah this August. We’ve chosen the Willy Wonka theme (how cool is that) and we’ll have a blast creating some really over-the-top “play rooms” for the kids. Who wouldn’t want to spend time in an Oompa Loompa lounge with a door just tall enough for an Oompa Loompa? Or try their skills at a marshmallow shooting gun in the all white TV room (remember this is where they miniaturized people and put them in a TV…lol) as you watch a replay of the movie on a fog screen. Or visit the Gobstopper Galley with candy wall paper….YUM! 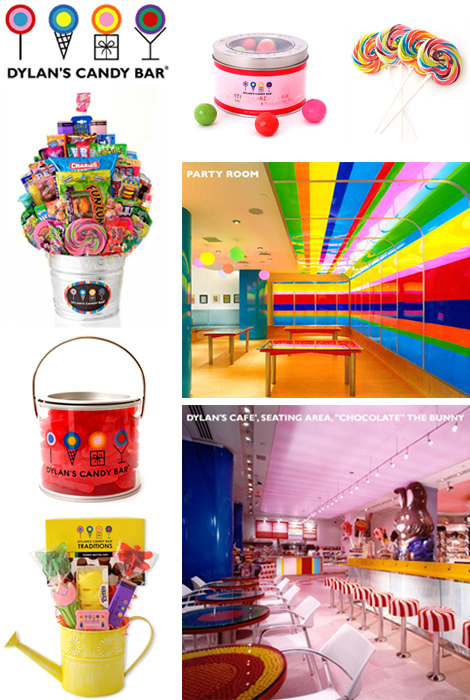 Speaking of candy…you have to check out the most adorable candy store I’ve ever seen, Dylan’s Candy Bar. Dylan’s which originally opened in New York now offers some of the most visually appealing candy you can find. Wonder where she got her creativity? Maybe papa Ralph Lauren had something to do with it…hmmmm….